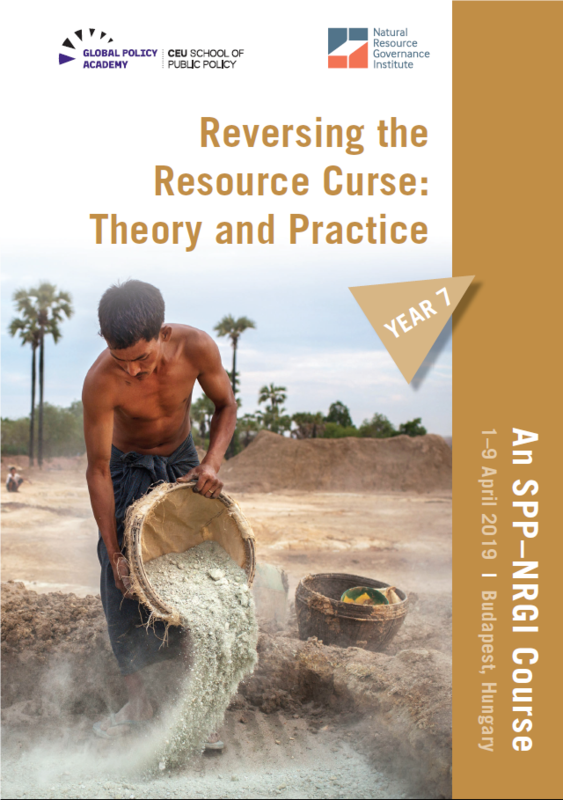 The Natural Resource Governance Institute and the School of Public Policy at Central European University are now accepting applications for the advanced course: "Reversing the Resource Curse: Theory and Practice." This advanced-level multi-stakeholder course is open to exceptional leaders from government, civil society, parliaments, media, international development agencies, industry associations as well as academics, researchers and analysts from universities and think tanks. A limited number of scholarships comprising travel, accommodation and full tuition costs is available on a competitive basis for leaders from government, civil society, parliaments, media from the following countries: Colombia, DRC, Ghana, Guinea, Guyana, Indonesia, Lebanon, Mexico, Mongolia, Myanmar, Nigeria and Tunisia. A restricted number of exceptions from this list may be made for exceptional applicants from other countries. In 2019, we are offering additional bursaries for childcare costs associated with attending the course. This is a pilot and is intended to enable participants to attend the course who otherwise might not be able to because of childcare needs. We will offer up to USD 500 as part of this bursary, which will be assessed on a case-by-case basis, dependant on need. Please indicate on the application form whether you will be applying for the childcare bursary. Those who are long-listed during the participant selection process and intend to apply for this benefit will then need to provide a letter describing their child care costs associated with the course. Our course brochure is available here. Read the participants' booklet here. The application form is available here. Deadline for applications is Monday, 26 November 2018. For further information and queries, please contact us at gpa@spp.ceu.edu.